Describe what Omni-Channel Routing does. Identify the benefits of Omni-Channel Supervisor. Identify the communication channels that the Service Cloud platform supports. Omnichannel—the new buzzword in business—means to deliver service on multiple channels. But you're saying, I'm already doing that, so what's the big deal? The difference is that while multichannel delivers information using different channels, it's not always seamless, and you're not necessarily delivering the same customer experience across all your channels. The Service Cloud platform makes it possible for you to deliver a seamless customer experience across all your channels. And it provides your service agents a simple interface and a rich set of information to work from. Let's look at the Service Cloud Omni-Channel features that help you achieve this. Omni-Channel Routing takes the angst out of service. No longer will your customers call in and cross their fingers that they get an agent who knows how to help them. It's easy to have the right expert resolve issues across any channel your customers want to use. Whether that's over the phone, email, live chat, messaging apps, video chat, community portal, or social channels such as Facebook and Twitter. When agents are ready to start work for the day, they simply make themselves available and highest priority cases are pushed to them right in the console. Omni-Channel Supervisor gives call center supervisors real-time operational intelligence, all in a handy tab in the Service Console. Information about your agents, queues, and work is streamed live into the panel. Yes, you read that right: Live! You see waiting times, open work, and more in real time. And you can even drill down to see performance on specific agents or queues. The best part? You never have to leave your console. 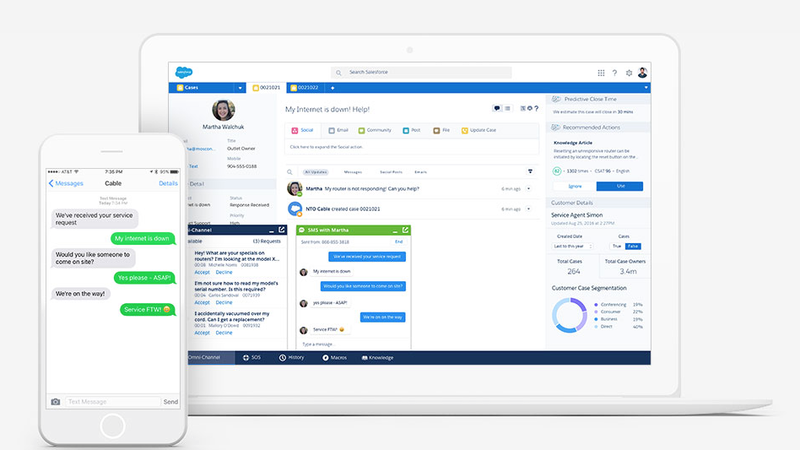 Learn how to add Omni-Channel Supervisor to the Salesforce Console. Your customers expect it to be easy to get help when and where they need it. Sometimes they call you, other times they email. They may even text you, tweet you, or post on your Facebook page. Some customers do all of the above. With the Service Cloud platform, no matter which channels your customers choose, they're matched with expert agents armed with the skills and tools to solve your customer's issues quickly. Your customers spend their time in your apps and on your websites. Does customer support live there too? Snap your fingers, and now it can! It's easy to embed service channels right into your mobile and web experiences with Snap-ins for the Service Cloud platform. Give customers the power to find relevant knowledge articles, log cases, or chat with agents in real-time with Live Agent chat and SOS video chat. With Snap-ins, you can seamlessly integrate Live Agent chat into your mobile app or website, so customers get instant answers on the go. If a case escalates, managers can coach agents in real time with private messages, while monitoring agent queues to balance workloads for better productivity. Deliver a personalized service experience to your customers, or potential customers, by engaging them at just the right moment—on any device. They say a picture is worth a thousand words. Sometimes a video is worth a thousand more. Snap-ins give agents the power to seamlessly change the conversation with a customer from a live text chat to SOS one- or two-way mobile video chat. With Snap-ins, you can add an SOS help button directly in your native iOS or Android mobile application, so agents can screen share and add notes to the screen. People connect with each other all day, every day with SMS and Facebook Messenger. Now you can deliver more personalized service than ever right where your customers are communicating. With LiveMessage, agents can connect with customers using SMS or Facebook Messenger, with the information they need without ever leaving the Service Console. Agents can even use emojis to add a personal touch. LiveMessage isn't tied to a browser, so customers can reach an agent instantly, get the answers they need, and be on their way. 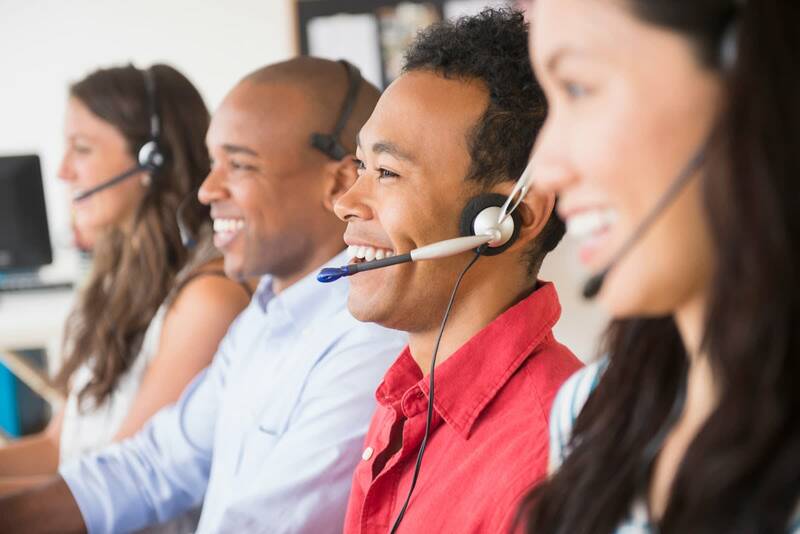 And agents can easily handle multiple conversations at the same time, which supercharges productivity—and call center ROI. Watch the LiveMessage demo to see how to turn every agent into a messaging star.